If you enjoy the type of movie Dumb and Dumber To is (and if you're unfamiliar with the original Dumb and Dumber or the prequel Dumb and Dumberer: When Harry Met Lloyd, the titles really tell you all you need to know), then you'll enjoy this movie, and if you don't, then you won't. It's as simple as that. And I know it's a total copout to say that in a review but I wanted to get it out of the way now because it's totally true. This movie is everything you expect it to be; there are no surprises (okay, yes, there are, because there are quite a few plot twists, but you know what I mean). Jim Carrey and Jeff Daniels play Lloyd and Harry, of course, and the only difference between this performance and the first one other than how markedly older the characters look is that Daniels didn't seem as comfortable this time around. To me it looked very much like he was trying too hard while Carrey, on the other hand, slid right back into his old character like a glove. Even with what seemed like Daniels' discomfort to me, the guys still had great chemistry and their comedic timing is perfect. They have a strong supporting cast behind them as well, with Laurie Holden, Rob Riggle, and Kathleen Turner all doing great jobs. Riggle even does a great job twice, but you'll see what I mean. The weak spot is Rachel Melvin as Penny, the daughter they're looking for in the trailers. Her attempt to be a young female version of Harry and Lloyd is just annoying and overdone, and she's as painful to watch as she is nice to look at. The Farrelly brothers, Bobby and Peter, directed the movie from a screenplay they co-wrote with no less than four other writers (Sean Anders, Mike Cerrone, John Morris, and Bennett Yellin). While the story and script are obviously by no means smart, the jokes work much more often than they don't, and that's what everyone sees a movie like this for anyway. Plus, the plot is actually really good, with some surprising twists. As I said before, if you enjoy this type of movie, you'll probably be more than happy with Dumb and Dumber To. This generally isn't my type of movie, and I'm still giving it 3 stars out of 5, so that should tell you something. 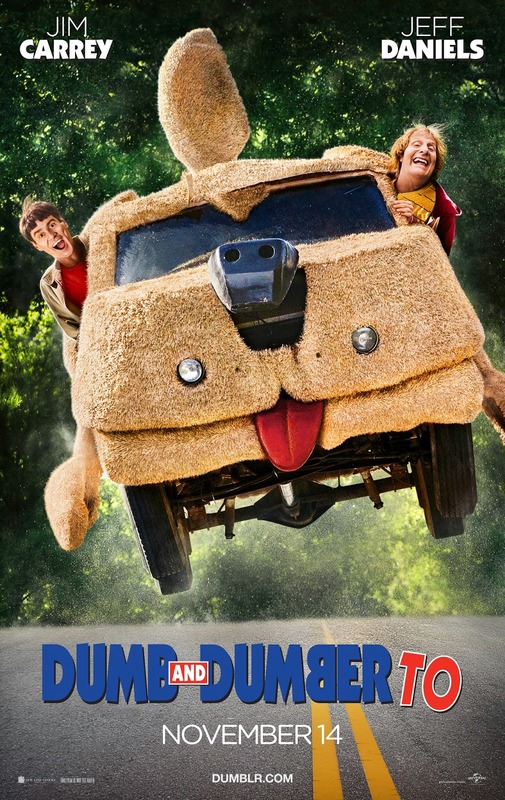 Dumb and Dumber To opens everywhere this coming Friday, November 14th.